Steer clear of the lines, sweat and all the pushing by allowing our skillful individuals to give you the most resourceful Bus Ticketing Services for all over India. We are Hindustan Tourism Service, a prominent name for tourism services in Ahmadabad, Gujarat. You donâ��t have to worry anymore because we are there for you. 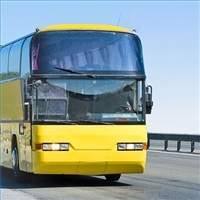 Contact us and avail the most reasonable Bus Ticketing Services and enjoy your journey without stress or anxiety. We deliver according to your schedule and budget, saving you a bunch of energy and money. We also possess the ability of offering instant bookings as well.